Our family of 4 (girls age 10 and 13) rented e-bikes from Massimo. What a great time riding thru the nearby towns. The views were stunning. We could not have made it up those hills without the e-bikes. We were so grateful to Massimo and his e-bikes for such a wonderful experience. Real Gem! Thank you! 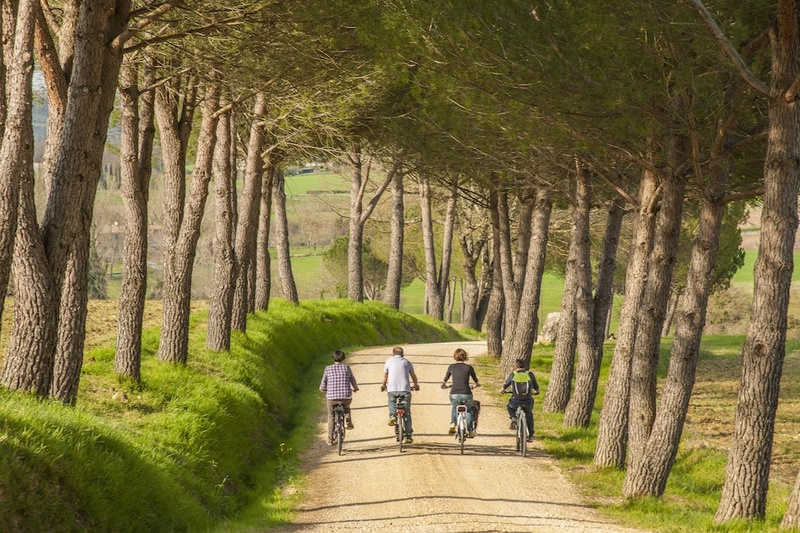 Make your visit to Tuscany special with our Authentic Tuscany Bike Tour. 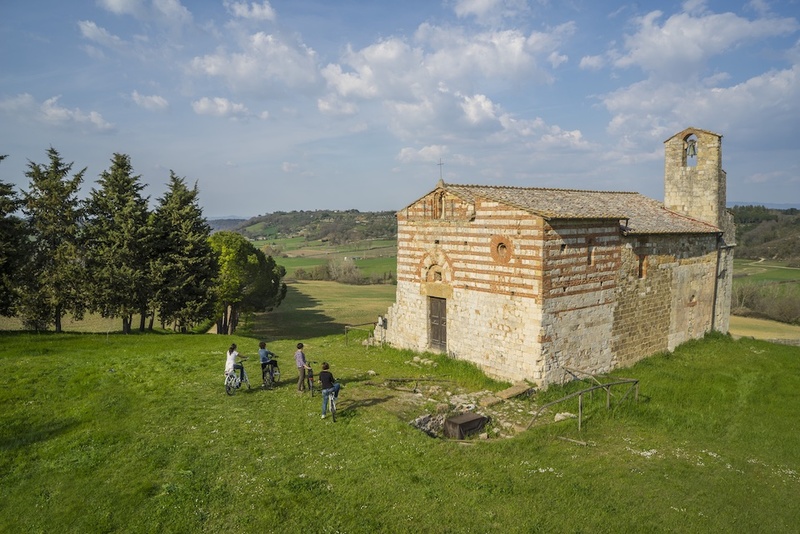 See the typical Tuscan landscape, with old farmhouses, mills, vineyards, olive groves, villas and castles. The tours ends with wine tasting / lunch in a castle and tour of the antique cellars. A memorable and enjoyable introduction to Tuscany. You can get bus number 37 from Florence central bus station. Ask us for all details! 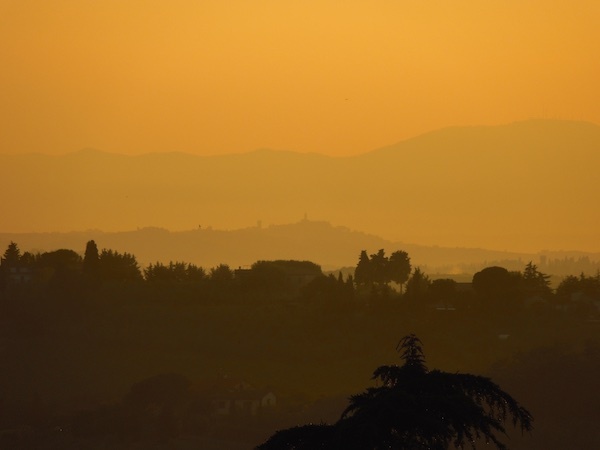 Tuscany is worldwide renowned for its scenic countryside. 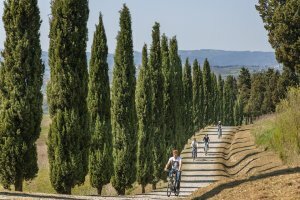 The Tuscan hills are fruit of the beauty, harmony and art of the Renaissance, the period in which Tuscany was transformed into this open air museum we still enjoy today. 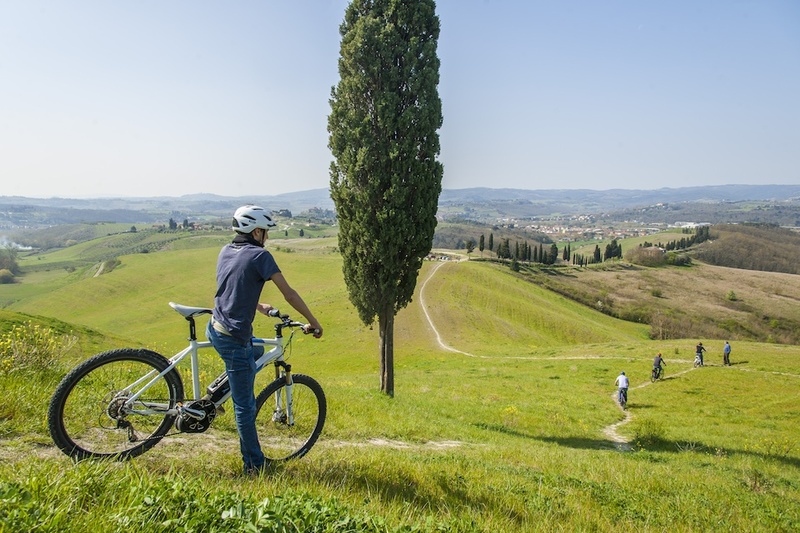 Toscana by bike organizes e-bike tours and ebike rentals. 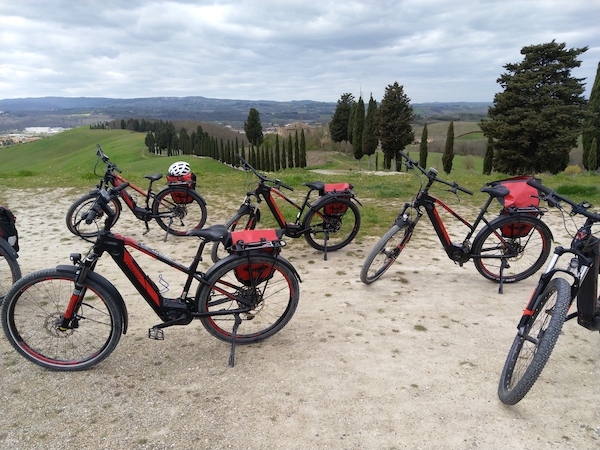 Tours in the Tuscan hills on electric power assisted bicycles (also called hybrid bicycles, booster bicycles or bicycles with helper motor), with qualified and enthusiastic guides or on your own with good maps to guide you. Our e-bike tours are in the area between Florence, Siena and Pisa, an area filled with history, beauty and excellent gastronomy, like olive oil, wine, saffron, cheese and meats. 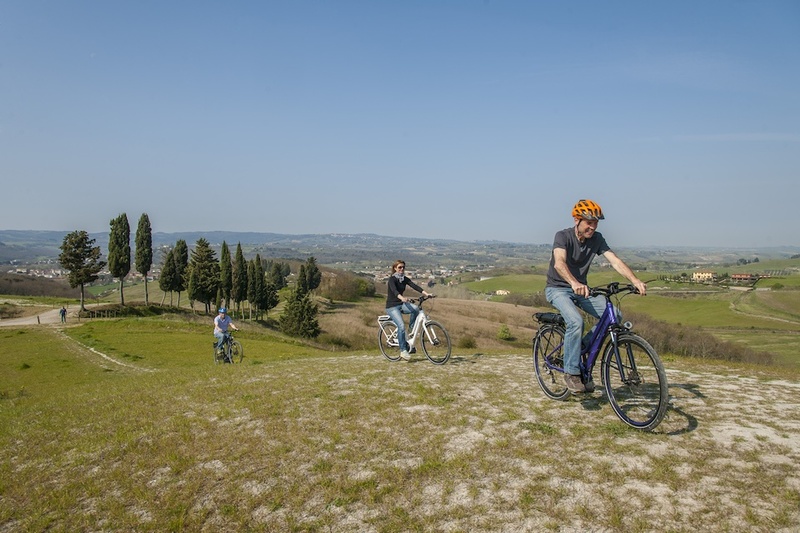 Taking part in our e-bike excursions (or renting an ebike and doing a self guided tour) will give you the opportunity to fully enjoy the legendary Tuscan landscape, while easily pedaling on your bicycle with helper motor, even when going up hill. On an e-bike you will have full attention available for the rich, historical and interesting itineraries we propose. 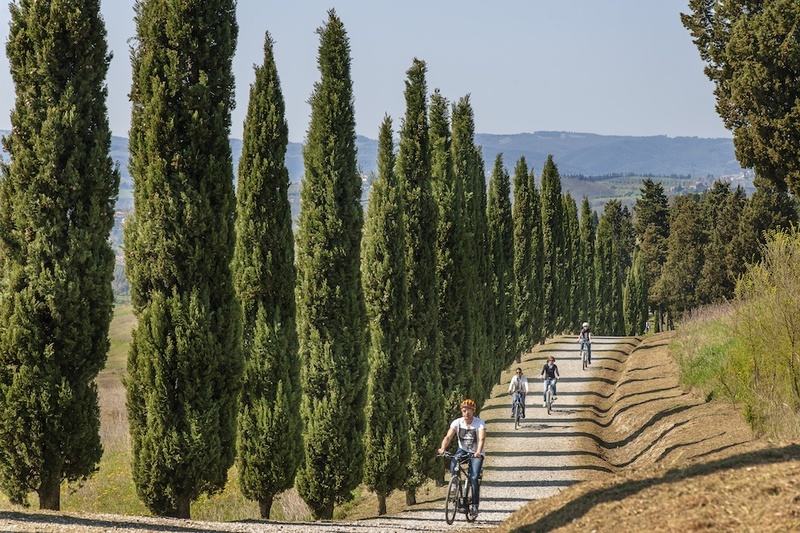 With our e-bike tours in Tuscany, anybody can discover the beauty of this historic land. No need to be a cyclist, health fanatic or in any way trained to do sports. With our ebike tours you can fully experience the beauty and peace of Tuscany, becoming aware of the meaning of the surroundings and the things that move us. A unique way to be in harmony with nature while getting a real understanding of how it all came to be. Toscanabybike is a group of enthusiasts who have decided to work together and create cultural and entertaining tours for tourists visiting Tuscany. There is no need to have any vocation for cycling. Toscanabybike offers e-bike tours, on bicycles with helper motor. Small groups of up to ten people are guided by an experienced authorized guide who knows all aspects of the region. An e-bike is a bicycle with helper motor, consisting of the electric motor, a battery and a software handling the pedal power. This way one can cycle without effort. Cycling this way feels like cycling on flat land, while enjoying the beautiful views from our hill tops. 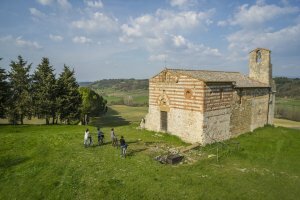 The presence of a guide will help open up and understand the Tuscan landscape in all its aspects. We will also taste some locally produced wines and food. 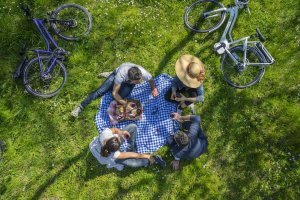 Toscanabybike offers various tours but they are all united by one logic: moving slowly through the landscape, understanding its characteristics while relaxing completely. 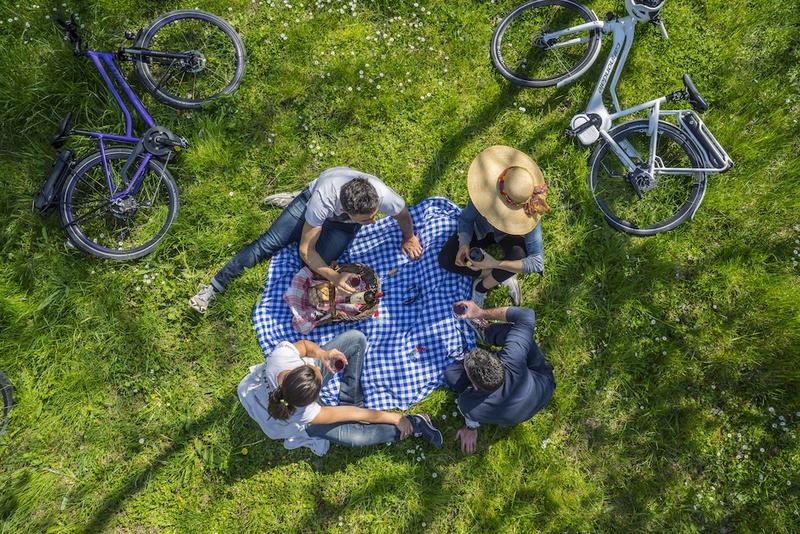 We have tours that focus more on nature, others focus more on architecture or the landscape, but all have stops where we will learn to understand and appreciate what surrounds us.